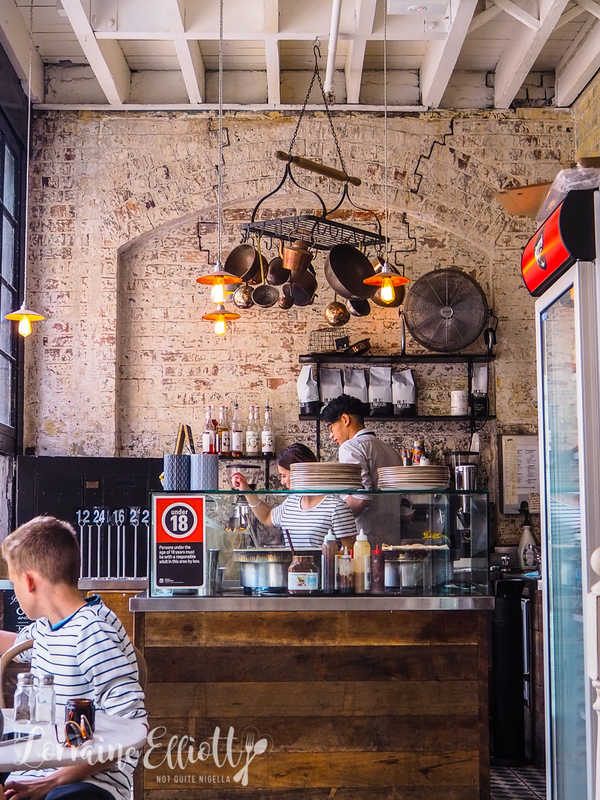 One thing can always be relied upon when you travel: that is that you'll forget one thing. Or is that just me? Without fail, I always forget one thing and it's usually a toiletry item. But if you're staying at an MGallery by Sofitel hotel around the world, then this has become less of a problem! On International Women's Day they launched a new initiative called Inspired by Her. MGallery hotels have over 80% female clientele and they sought to cater for them by introducing ideas that appeal to women's attention to detail. 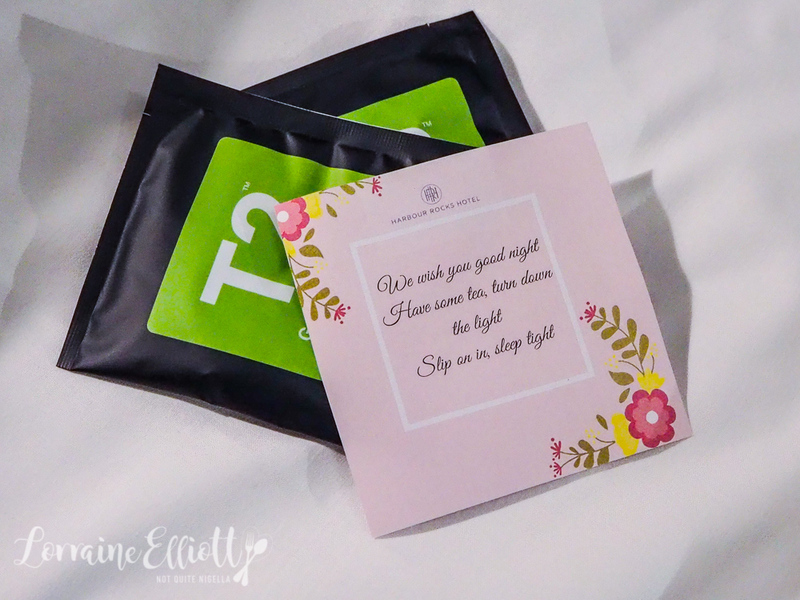 There are things like tea time in the room, emergency kits including complimentary amenities like makeup remover wipes, hair ties, disposable razors and makeup mirrors as well as amenities for purchase. There are also special dishes for breakfast and dinner, a cocktail called the Sparkling Suzette as well as diverse reading material. According to research undertaken, the top 5 feminine touch items women like in a hotel are fresh flowers, fragrance, quality bedding and materials, and attention to service detail. 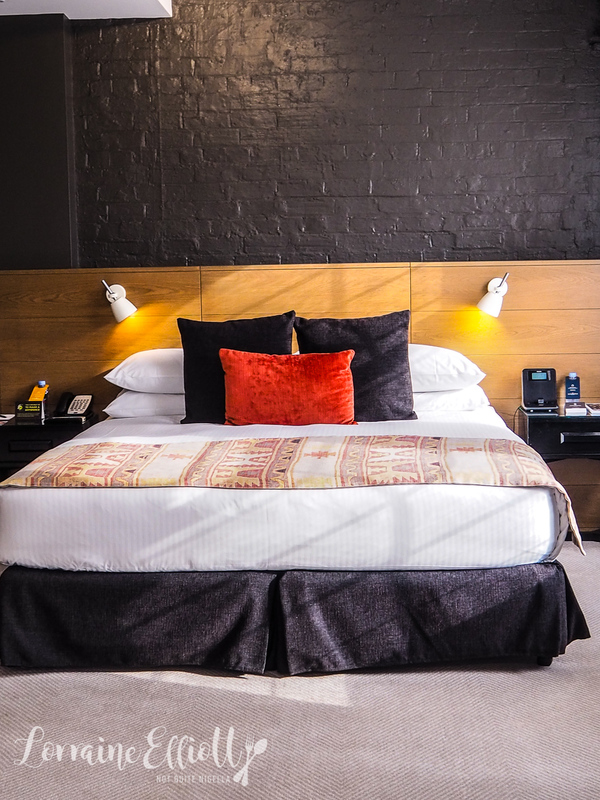 I decided to take my mother on an early Mother's day trip to Sydney's Harbour Rocks Hotel, Sydney CBD's only M Gallery hotel to see this in action. We checked in at 3pm and the smiling face of the staff welcome us to the hotel. 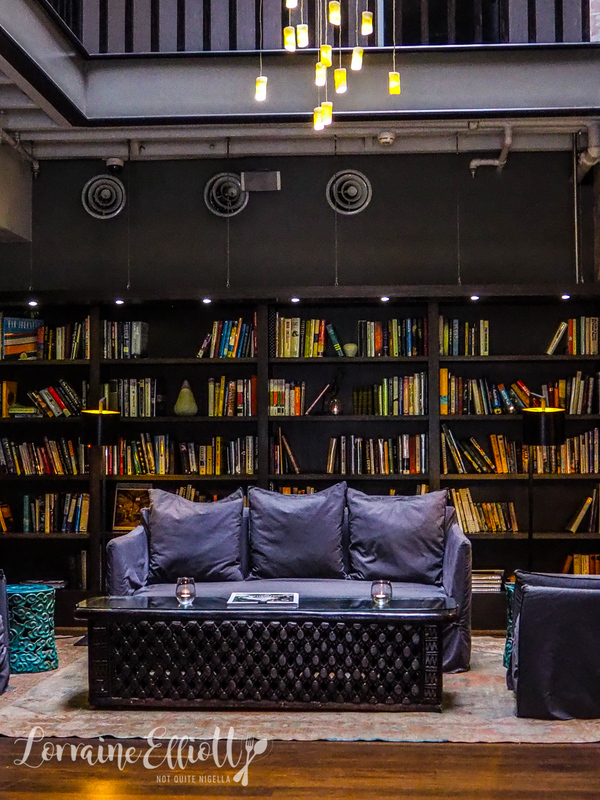 It's somewhat of a hidden secret boutique hotel with just 59 rooms. It bears no signs of its previous life as a hospital (in fact that whole area surrounding the hotel is a former hospital hence names like Nurse's Walk and Surgeon's Walk). 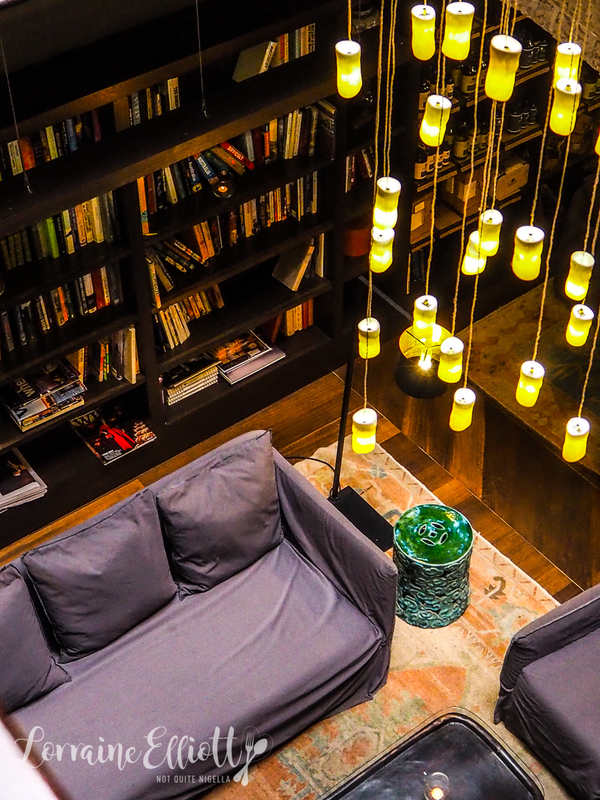 It has been beautifully restored with a warm welcoming lobby lit from above by skylights, candles and drop lights. We are offered a drink as soon as we walk in. Check in is at Eric's Bar and it happens quickly and smoothly and before long I am following the bellhop up the stairs to our second floor suite. The two level hotel doesn't have a passenger lift so bags are always taken care of by staff. 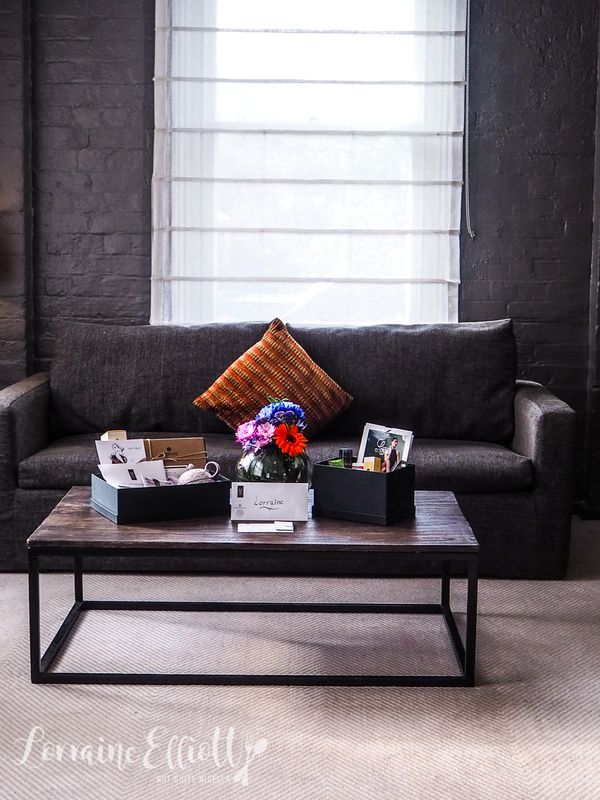 The studio suite is a gorgeous suite. The king sized bed is comfortable and there are three types of pillows provided with an additional pillow menu. 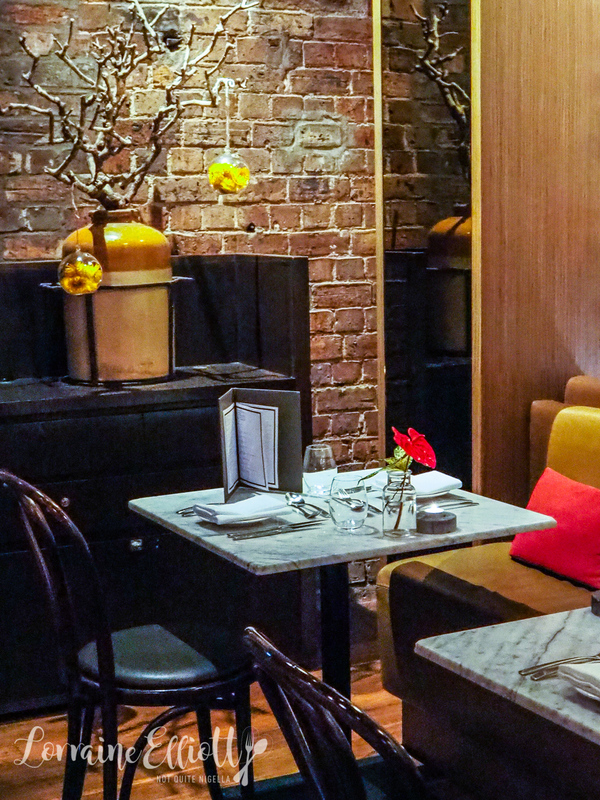 The decor is warm and comfortably luxurious. The suite isn't in a separate room but it's roomy enough at 22-25SQM/ 236-269SQF. As it is a heritage building the rooms do tend to be smaller than modern builds. 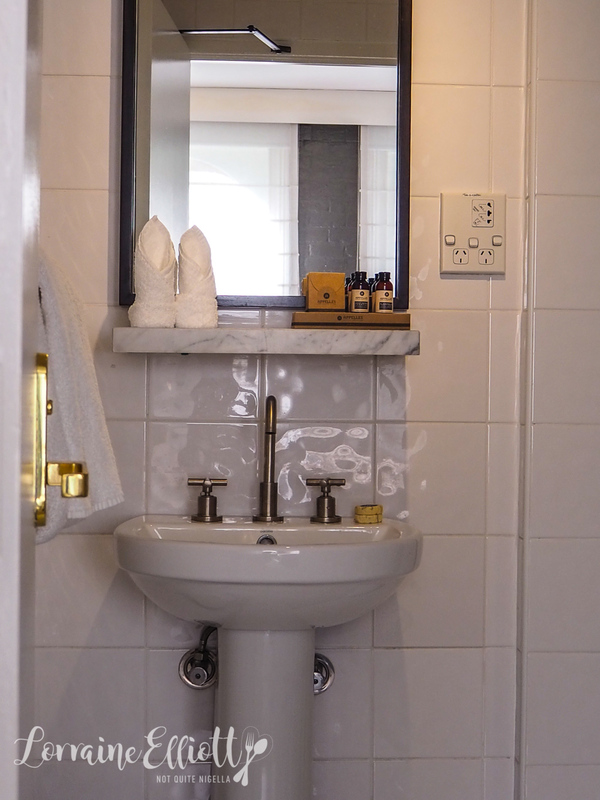 The bathroom is quite snug but well stocked with Appelles Apothecary toiletries. I would have loved an area or table to place my toiletries on. My mother settles in on the couch with a book and before long there's a knock at the door. 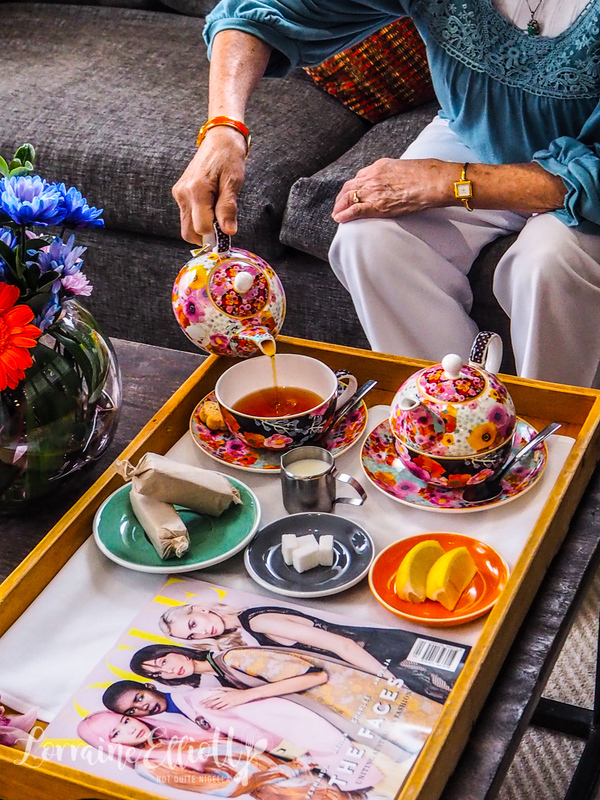 They bring us our tea service exactly on time. There's a pot for each of us as well as crisp, buttery shortbread flowers and wickedly rich chocolate brownies wrapped in parchment. My mother is very, very happy. In the room there is also a selection of T2 teas and instant coffee as well as a well stocked boutique branded mini bar. Cocktails can also be served in the rooms. There's also a list of amenities available as part of the #inspiredbyher campaign. Apparently 73% of women surveyed said they often forget to pack an essential item and don’t realise they’ve left it behind until they get to the hotel. Items like makeup and nail polish remover wipes, hair ties, pins, disposable razor, sanitary products and make up mirrors are complimentary. Other items like cleanser, moisturiser, deodorant, hairspray, lip balm, sunscreen, after sun cream, tweezers and stockings are available for purchase. And all of these amenities are available for men or women. The staff can also arrange bookings for hairdressers, make up artists or beauty therapists either in salon or in your room. 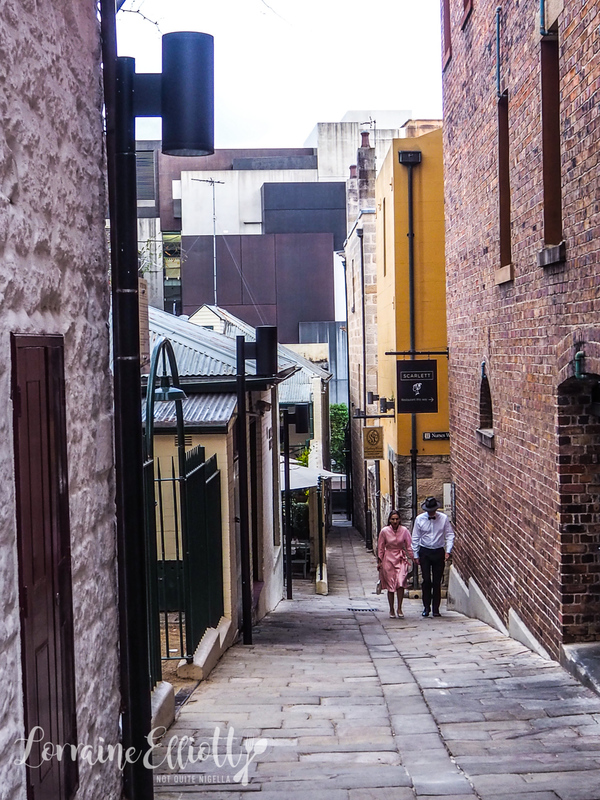 When we finish our tea we take a stroll in The Rocks where the weekend markets are busy with people milling about. 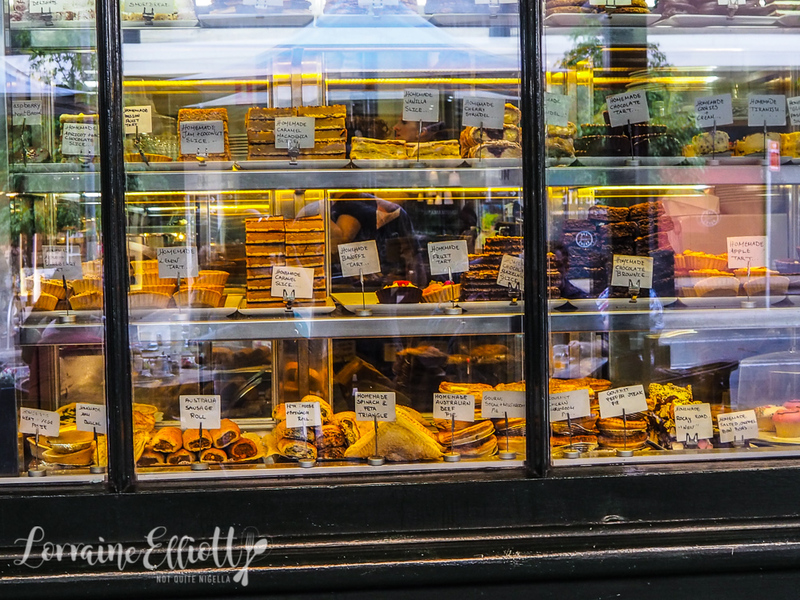 I stare at cake shops windows because I find them transfixing. It's a perfect Autumn day, 25 degrees and almost balmy without the sun beating overhead. By the time we get back it's 5pm and time for a drink. We head to Eric's Bar where there's a Happy Hour between 5-7pm. 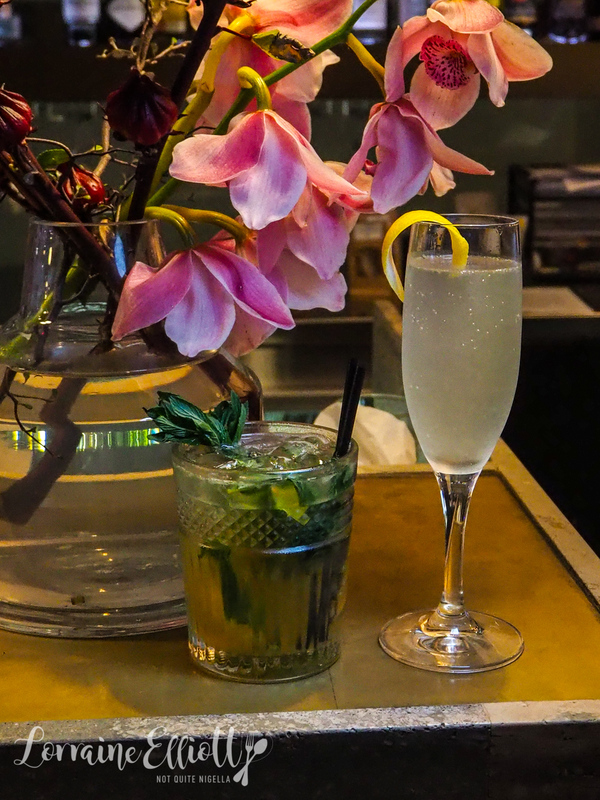 We order two cocktails: the Sparkling Suzette with gin, bitters, sugar and sparkling wine as well as the bar's signature drink. Scarlett's Dirty Mojito is made with lime, sugar, spiced rum and soda. 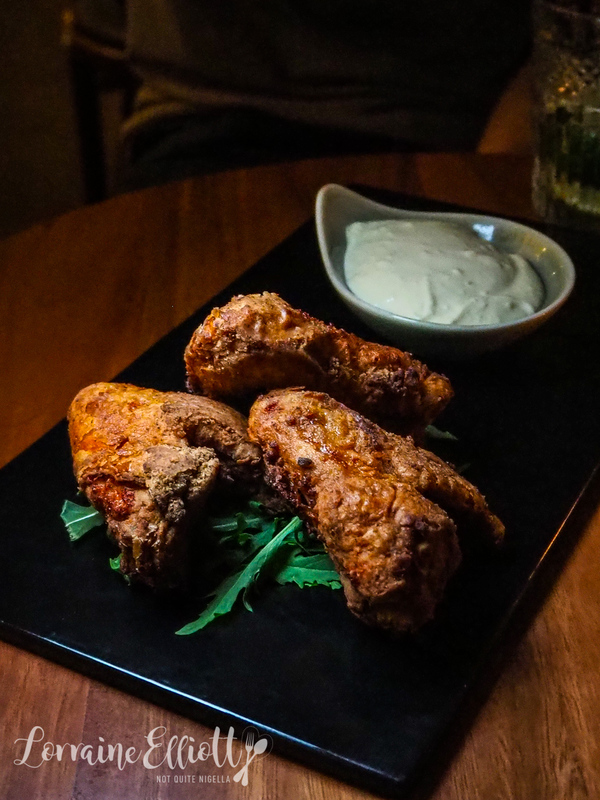 We pair these with their deliciously crunchy soy and ginger crispy chicken wings with kabayaki mayo. 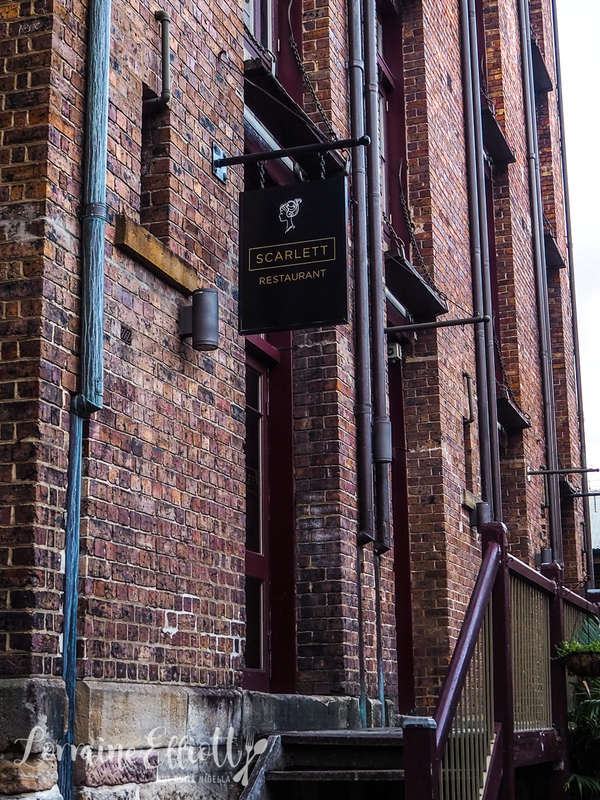 My mother and I then head downstairs to Scarlett restaurant, the hotel's restaurant. The restaurant has the original convict built sandstone bricks-each one is marked with a different pattern which was the convict's signature marking to ensure that they were paid for the correct amount of bricks. Service is lovely and accommodating. They bring out bread, oil and balsamic and we are trying a preview of the Mother's Day menu which offers guests 3 courses plus a glass of sparkling for $75 a person. The raviolo comes to the table and they pour some broth into it setting off a plume of smoke from the dry ice nestled under the raviolo. It's a plump round dumpling with lots of prawn and lobster and it's served with a clear seafood and wakame broth with dried leek. But we both swooned over the baked scallops. 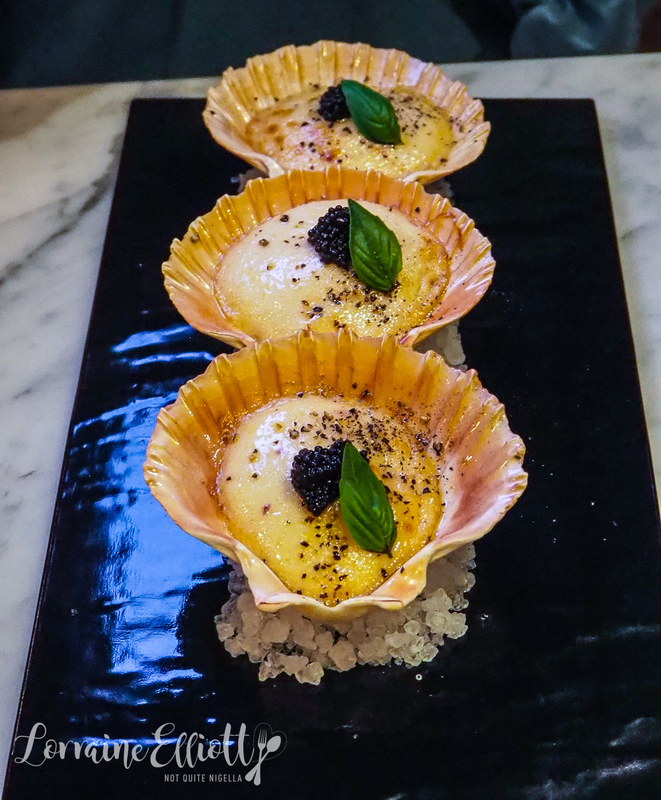 They use Tasmanian scallops in this dish with a creamy parmesan sauce and caviar on top. 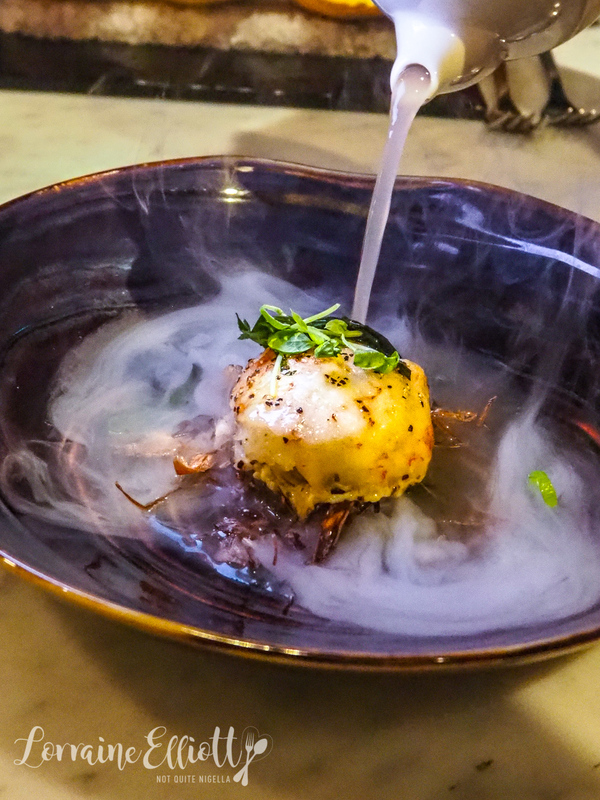 The scallops melt on the tongue like jellied bone marrow discs. Out of the two mains, I was all about this chicken dish. 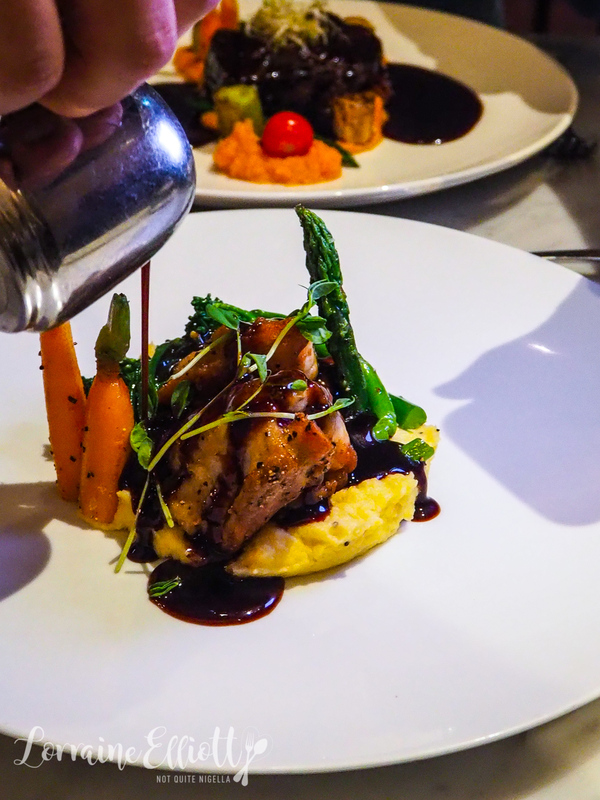 It reminded me of a roast chicken with sage and onion flavours but the chicken is very succulent with a rich gravy, creamy rosemary polenta, carrots and Brussels sprouts. This and the beef are also quite sizeable dishes as well. 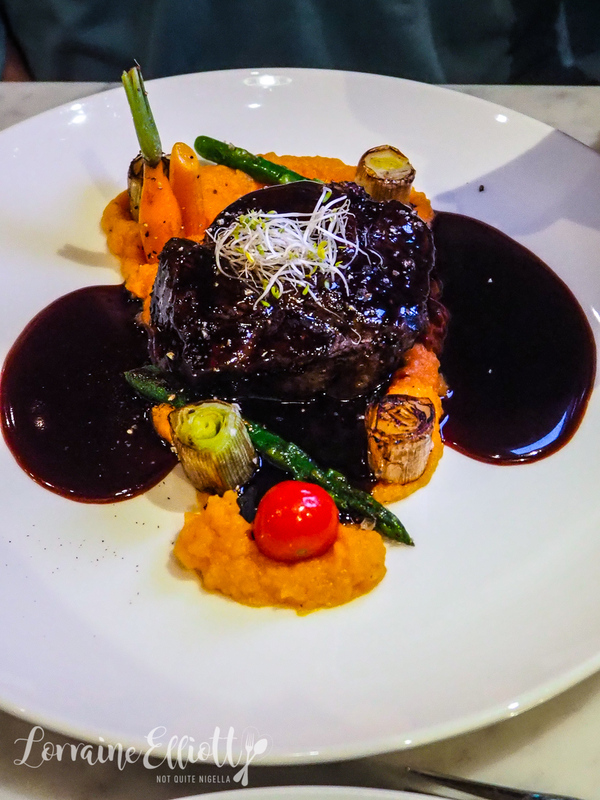 My mother loved the charcoal beef, cooked medium and served with a creamy, sweet kumara mash with leeks, asparagus, broccolini and a rich jus. 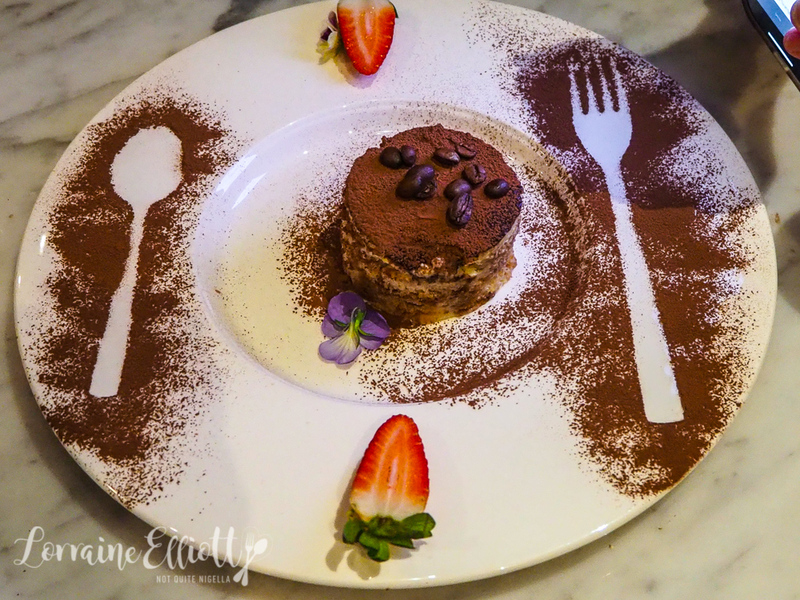 The tiramisu was nice but perhaps a little dry for me. I would have loved a bit more mascarpone between the layers whereas this was more about sponge. My mother however loves this. This is actually a dessert for two, hence the generous size. 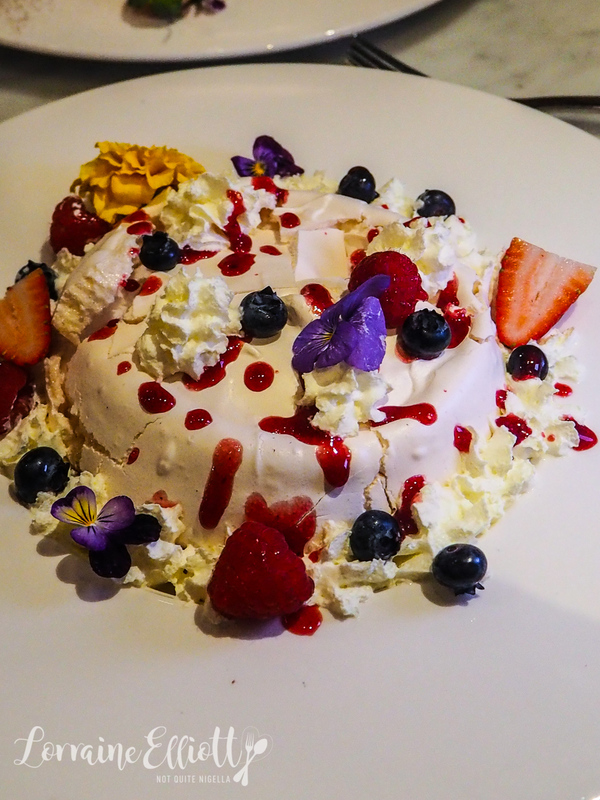 It's a crisp pavlova with a gooey interior, whipped cream and fresh strawberries, raspberries and blueberries. My mother loves her early Mother's Day. And when I head back upstairs, turn down has been performed and there is a note on the bed with two sachets of herbal tea. The next morning we go to breakfast at Creperie Suzette, attached to the hotel. 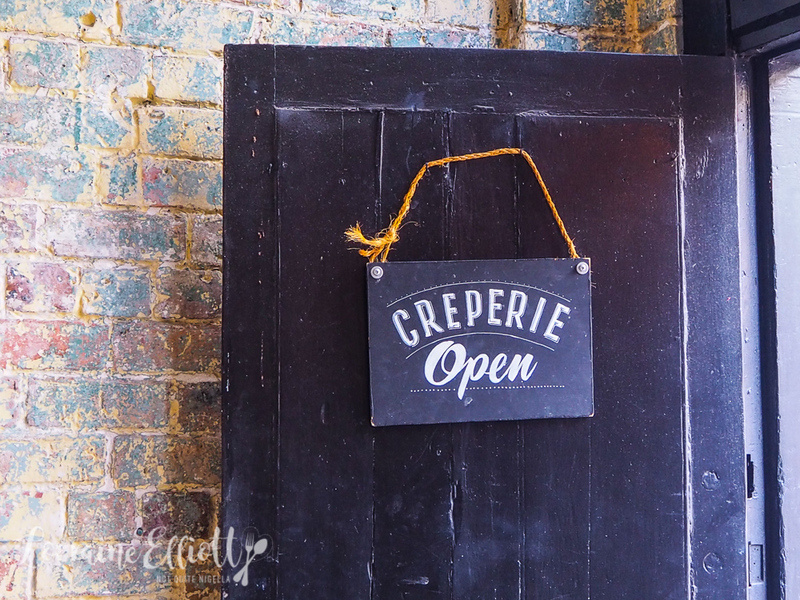 Hotel guests can either have a regular a la carte breakfast at Scarlett or crepes at Crepes Suzette and when given a choice I always choose crepes. 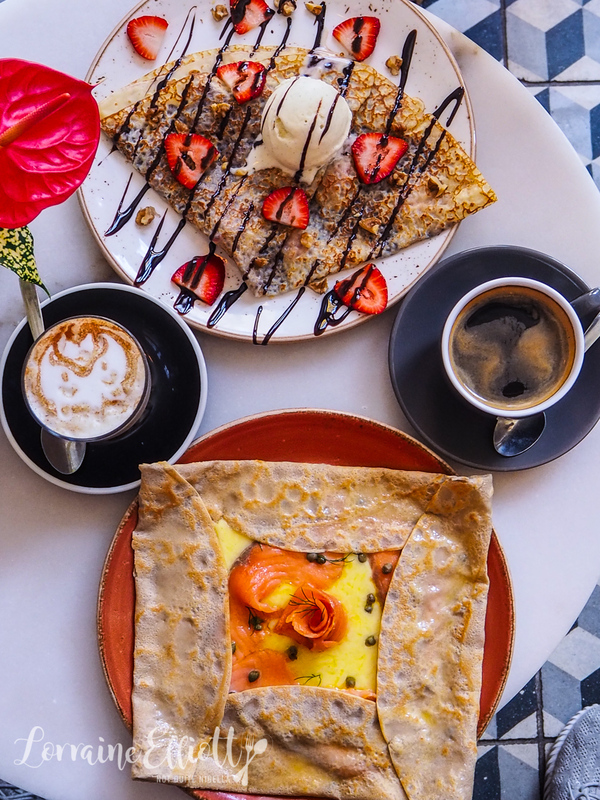 Having tried the Peking Duck and salted caramel crepe here during our crepe challenge I choose the Tasmanian salmon galette and the strawberry and dark chocolate crepe. I start with a chai latte while Mr NQN has a long black. 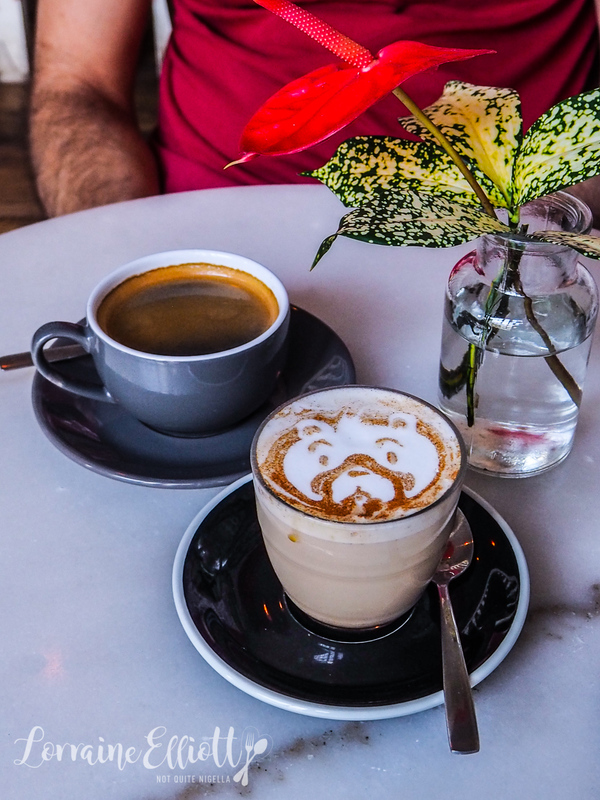 My chai latte has an adorable bear pattern on it. The smoked salmon one has a good amount of smoked salmon. There's also plenty of cheese, capers and dill. I would have loved it to be a bit more crisp (I love crispy buckwheat flour galettes). The Le Fraise is stuffed and topped with slices of fresh strawberry with drizzles of dark chocolate and a scoop of vanilla gelato. It's a great start to a sunny Autumn Sunday wandering around The Rocks. So tell me Dear Reader, how often do you forget to pack something? What do you think of the new Inspired by Her initiative? What are your top 5 wants of a hotel? 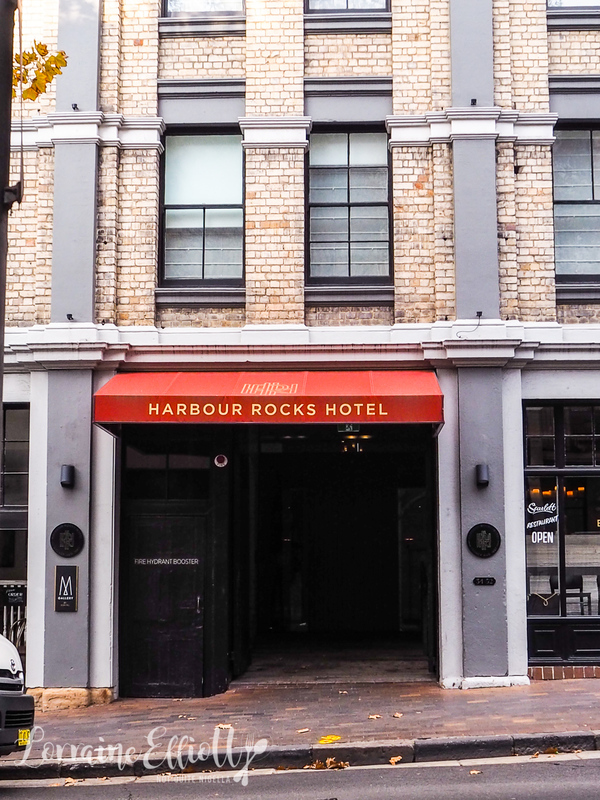 NQN and guests stayed as guests of the Harbour Rocks Hotel M Gallery by Sofitel but all opinions remain her own. travel16 Fascinating Things You Didn't Know About Hotels From A Hotel Insider!